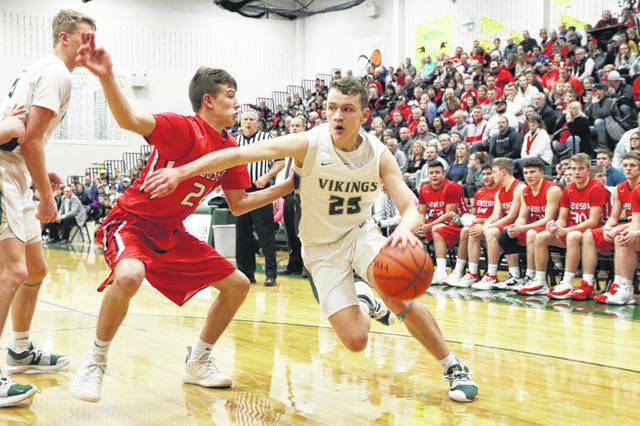 Nic Borojevich of Evergreen drives around a Wauseon defender during Friday night’s NWOAL contest. 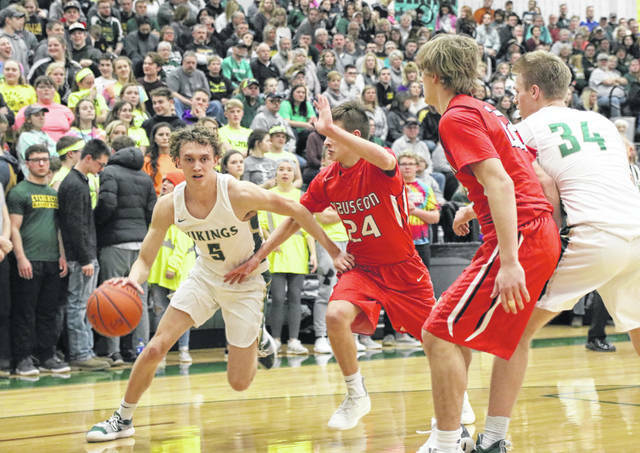 The Vikings fell convincingly to the Indians, but bounced back for an overtime victory over Fayette on Saturday. Evergreen travels to Archbold and Pettisville this coming weekend.